Colours: Green/Black MXU 150RL - The new MXU 150RL is a fully automatic, lightweight, dual-purpose sports utility quad. Perfect for smallholdings, stables and paddocks, it's fully Road Legal too! 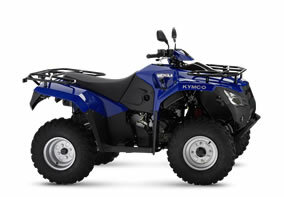 The eagerly awaited MXU 500 RL is the ultimate workhorse of the KYMCO range. With a powerful 500cc engine and selectable 2w/4w drive, it makes light work of any task.